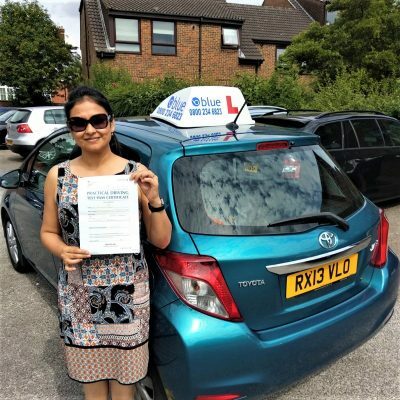 Posted in: Driving Lesson Reading, Joe Gomez Driving Test Passes, Learner Drivers Passing Test. 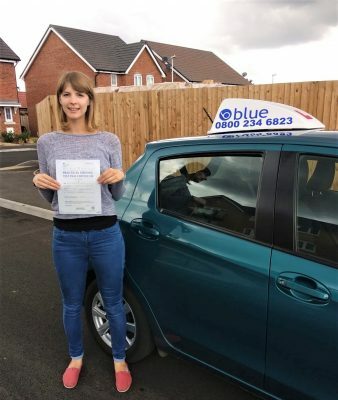 Reading Driving Test Pass for Emily Miller. 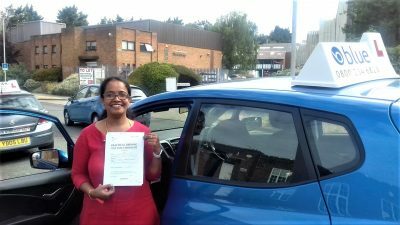 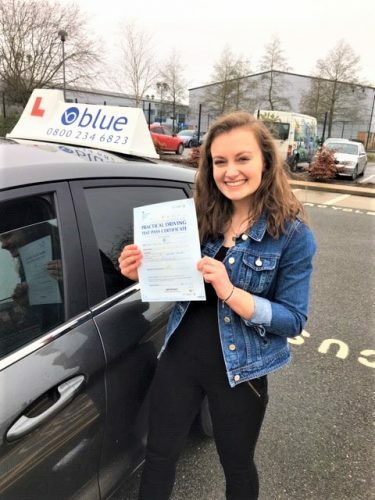 Emily Miller passed her test earlier this week in Reading Very 1st Attempt with just a few minor driving faults, great smooth drive. 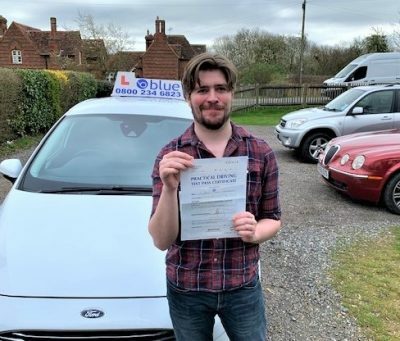 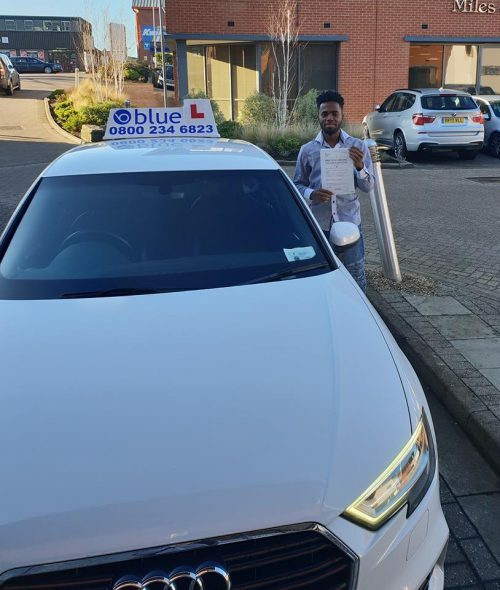 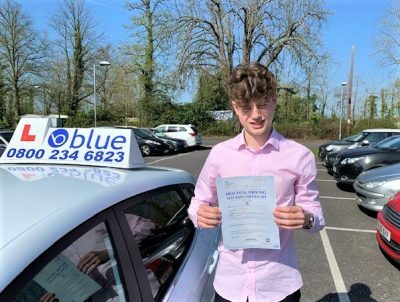 All the very best from Joe Gomez your driving instructor and all the team at Blue Driving School. 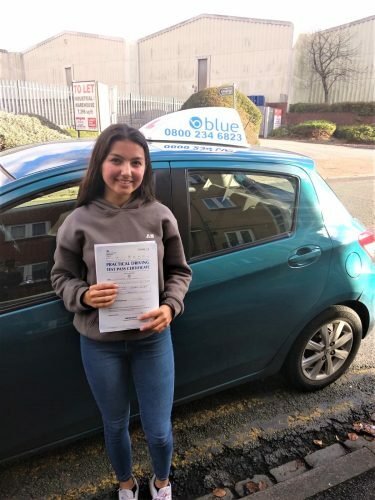 Learning to drive in the Reading area is a great opportunity as there so many different types of driving conditions and varying road systems to experience that are covered in the Highway Code and the National Driving Standards. 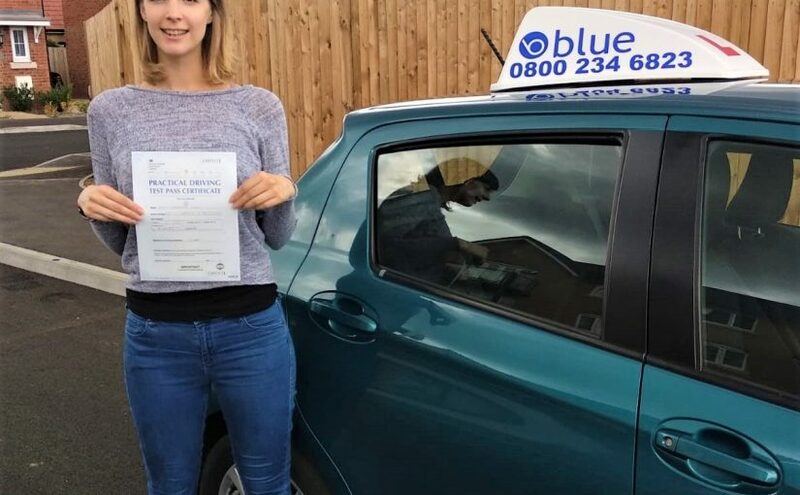 The Reading Borough has a population of about 160,000 and this is growing every day, so the road systems are at peak hours very busy and demanding places to drive. 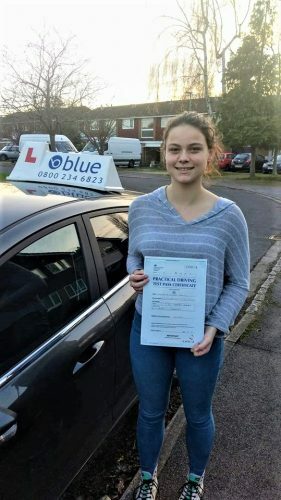 The following suburbs and surrounding towns and suburbs such as Calcot, Woodley, Winnersh, Tilehurst, Earley, Twyford are all populated with a variety of drivers not just in their own vehicles but, tradespeople in their vans, trucks, HGV’s, buses, taxis and let’s not forget cyclists, motorbike riders and the ever present pedestrian, trying to get to work or school.